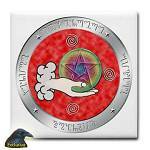 The first of the Wicked Witch Hexology products, this tiny 2 inch jar packs the mother of all hexes. And whether you need to deal with actual person or a problem with your personal situation, it’s definitely the way to go. Start a new tradition by using or giving these authentically made Bayberry Tapered candles. Home should be a relaxing, happy place- a place overflowing with love and laughter-where folks mind their manners and good luck abounds. If this doesn't even remotely sound like your home maybe its time to put things back on track. And Charmed Life – the good/happy home jar- can definitely start the ball rolling! Need a little boost to find that "special love” then Endless Love is your starting point. You can find that love of a lifetime and Endless Love will help you do it. This jar is designed to provide great property protection, especially created for those who do not have a permanent address. Eye Spy is as effective as a traditional Witch’s bottle but less messy, and mobile when you find yourself changing locations. It is perfect for apartment dwellers and folks facing job relocation. House of Grimassi Herbal Blends! Herbs blended with love in mind, spirit and body. This blend is mixed with magical herbs from the House of Grimassi, where magic grows. The certified organic herbs in this amazing liniment handcrafted by Branwen of Branwen's Dreams give it fantastic antiseptic, warming, stimulating, and anti-inflammatory properties. Lodestones are the only naturally occurring magnetic mineral. Lodestones, also known as magnetite, have been used in magickal workings for their drawing power since the time of the Greeks and Romans. Charles Leland's circa 1890 drawing of "A Flying Witch". 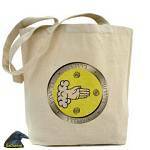 Use this tote to hold your ritual items or any items that you feel need the energy of this seal.